Enjoying a rare off on Sunday today I also had the rare luxury of going for an afternoon nap. To my surprise I managed some sleep, however in fits and starts. And, I had a series of dreams mostly taking me back to my native land Assam which was only natural because I paid a visit there recently and maybe also because our Spring festival (start of four seasons) Bohag or Rongali Bihu has begun—today being Goru Bihu when we worship cattle and tomorrow Manuh Bihu that is our New Year day. In Mumbai we hardly get the ambiance. “No problems even if you cannot afford. You can stay and sleep in the railway station platforms, in the pavements and even in the streets. 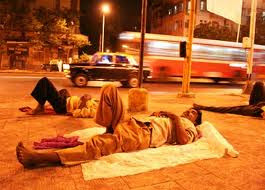 You see, people of Mumbai sleep everywhere!” The man gave a bemused smile and dissolved away. I laughed out as I woke up with a jerk. I realized how the very essence of a city where you live for long years gets not only into your conscious system but also into your subconscious. Dreams in Mumbai get continuously shattered by the hard realities. Owning a flat here is now getting out of reach even for the upper middle classes. With population pressures increasing all the time thanks to immigration to the dream city people are occupying every possible place for living. Such has been the demand for sleeping and squatting facilities in the city and around that vested interests have been taking up illegal constructions, particularly in the satellite towns of Mumbai. 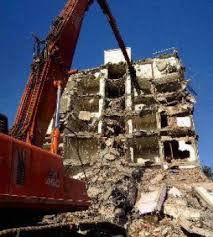 On 4th April, 2013 a seven-storey building constructed illegally and completed in mere months in Mumbra came down crashing killing 74 residents. The building was constructed to house people of labor class who, as per reports, were also illegal immigrants. In fact, nearly ninety percent of buildings in this satellite township are reportedly illegal. Some other reports reveal that even the bungalow of the town mayor was constructed illegally! The tragedy rocked the Maharashtra Assembly in session, and the system had to wake up again as is usual after a mishap. A demolition campaign ensued in Mumbra and the municipal authorities cut off water and electricity supply to many other illegal buildings. To confound matters the inhabitants of the town called for a Mumbra Bandh against the government action. Well, they have to eke out their existence, housed legally or illegally; they hardly have any choice. Mumbai—caught between dream and reality. Life goes on though.